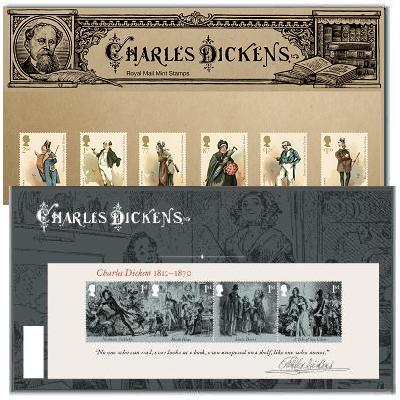 Royal Mail have recently released these new stamps featuring images from Charles Dickens novels. 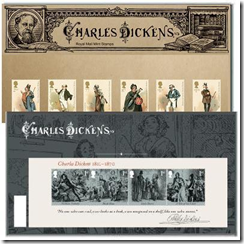 The stamps feature characters from the novels including Mr. Bumble, Mr. Pickwick, The Marchioness, Mrs. Gamp, Captain Cuttle and Mr. Micawber. They were released on the 19th of June. Royal Mail are hoping to extend the policy of delivering your mail to a neighbour if you are out after a successful trial. Just under 750,000 homes in Edinburgh, Gatwick, Hull, Norwich, Swansea, Wigan and Bolton took part in trial which started last November. More than nine out of ten people whose post was delivered to a neighbour were happy with the service leading Royal Mail to the decision to extend the service across the UK. Royal Mail is currently one of the only delivery services that is not allowed to deliver mail to a neighbouring property. They are intending to ask the regulator Ofcom to amend it's relations so that they will now be able to do so. Customers will have the option to opt out if they wish.